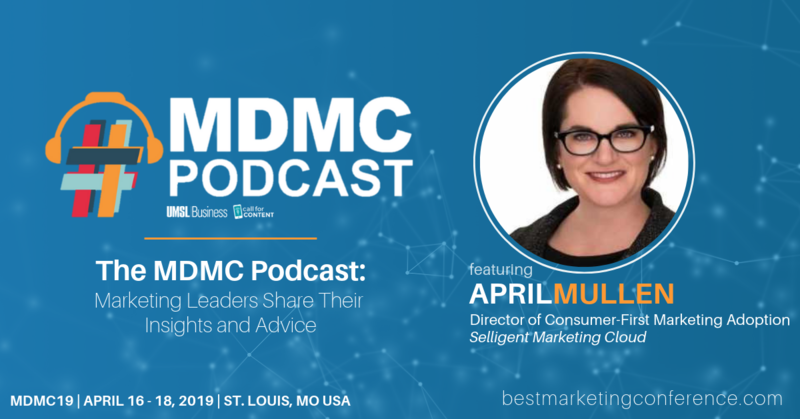 In the first episode of the MDMC Podcast: Marketing Leaders Insights and Advice, we sit down with MDMC19 speaker April Mullen. April is a proven digital marketing leader currently focusing on global client strategy and marketing for Selligent Marketing Cloud, an Adjunct Professor of Digital Marketing at the University of Missouri-St. Louis and was critical in helping to develop the digital program’s initial curriculum for the changing digital age. The Official Midwest Digital Marketing Conference podcast features UMSL Business students interviewing many of the amazing speakers from MDMC19 about the latest digital marketing trends, career tips and more!